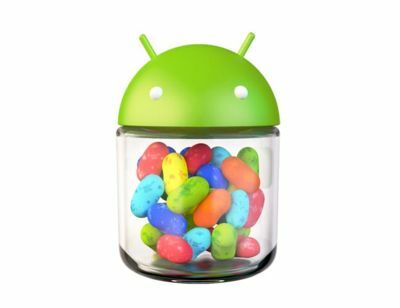 Android 4 "Jelly Bean (4.3) " is a version of the Android mobile phone operating system that was released on July 24, 2013. If a tablet device is used by multiple users, then each user has their own profile. The Autocomplete feature in the dial-pad suggests phone numbers or contact names when users start typing. While Samsung and HTC had already added this feature on to their Android UI skins, devices running stock Android were missing this feature version 4.3. Activate this feature in app settings by enabling 'Dial Pad autocomplete'. The advanced Bluetooth Smart Ready feature in Android 4.3 will help devices support various low-energy Bluetooth Smart accessories such as pedometers, thermometers and heart rate monitors. Android 4.3 users can control and easily interact with the important notifications of the status bar. Users can now decide how notifications are pushed to the primary and connected devices such as smart watches, fitness bands etc. The main Setup Wizard has been simplified. Users can modify information entered during initial setup. OpenGL ES 3.0 renders high quality graphics in games and several apps to provide an improved gaming experience. Support for syncing with Bluetooth-enabled car stereos to provide additional functionality. The modified Bluetooth AVRCP 1.3 version helps stereos to display information such as song names. Location scanning via Wi-Fi is provided. This allows installed apps to get most accurate location data through Wi-Fi even when the actual Wi-Fi setting is not active. An advanced algorithm for tap-typing recognition is provided. Text input is improved. An Emoji keyboard is provided (similar to that provided in iOS). The new algorithm supports much lower latency input for joy sticks and gamepad buttons. Language support for Africans, Amharic, Hindi, Swahili and Zulu. Additional support for Hebrew and Arabic has also been added in main Home screen, Phone, People, Settings and apps. This page was last modified 00:43, 2 August 2013.